In the depth of the ruined world of Wira lies an Ancient Relic of Power, known as the Shard of Unikrux. The Omega Angels Scouts Company were dispatched to the ruined wasteland to recover the item before the Necrons lead by Bil-Ta-Seth arrive to use its power for unknown cause. Captain Rick Maximilan of the 3rd Company was send to Scout ahead and prepare themselves against the dreaded walking metal, thinking he had the initiative, it was the Omega Angels that was taken by surprise. Will the Captain be able to hold off against an enemy that refuse to die? The table was setup prior before the game started, 70% of the table was filled with terrains from hills with ruins and a connected building in the middle of the table, for a 1000-points game there was almost no possible way big tanks can go through but for a small point game there was no need for big tanks and big flyers. We rolled for deployment and mission, Dawn of War and Relic Mission was chosen, Bill won first and deployed his army with less denser terrains and mine was the with more ruins and craters. Bill chose to save his Deathmark for Deep-Striking and my StormTalon was in Reserve. 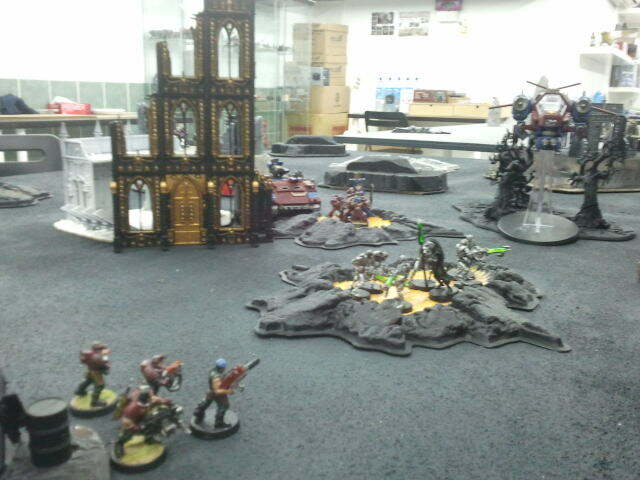 He deployed 15 Warriors attached together with his Lord, while his Ghost Ark was carrying 5 Warriors, Canoptek Wraiths and Annihalator Barge on his right side of the table, facing my Scouts of Squad Artemis and Devastator Squad. It was now my turn to deploy, i know in order to win i would need to be close with the Objective and with the new 6th Edition Rule, only Troops are able to carry The Relic 6inch at a time. My Sniper Scouts of Squad Lancelot used Infiltration to start off on the hill with the small ruin near my deployment zone, Bolter Scouts Pendragon on his deployment zone 24″ away from his gun line hidden inside an old abandoned bunker, and ten more Bolter Scouts Artemis in my own deployment zone inside a ruined building on the hill together with my 5-men Devastator Squad to avoid any Assault that might happen or counter-attack any unit that come in to close. My 5-Men Tactical Squad is attached together with Captain Maximilan while their Razorback hidden away behind the ruined hill, away from Bill’s Ghost Ark and his firing line, i was mostly concerned about the Canoptek Wraiths and his Annihilator. Bil-Ta-Seth Necron Lord and Warriors, Ghost Ark move towards the nearby ruin to gain cover from any shooting attack i will make during my turn. 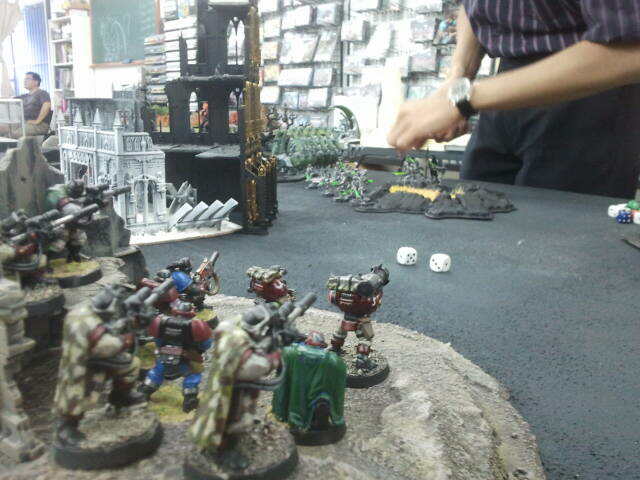 He then direct his Canoptek Wraith as fast as he can to my Bolter Scouts Artemis hidden inside the ruin. 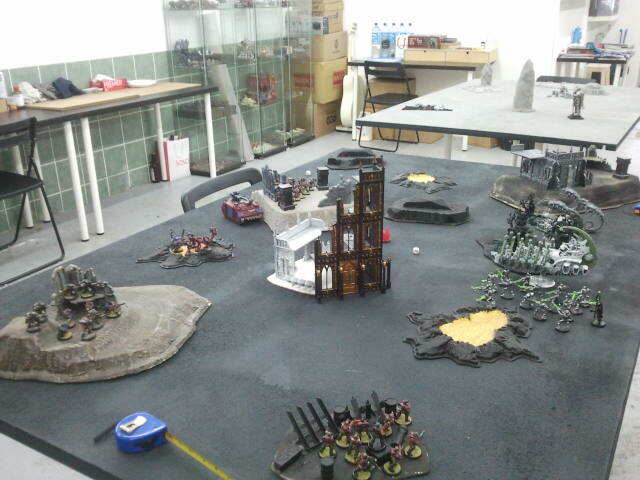 The Annihilator Barge zoomed to the flank next to his Wraiths to shot down my Devastators killing one unfortunate Space Marine even in the cover of night, while 20 of his Warriors took turns to shot my Bolter Scouts on his deployment zone killing two, their Camo Cloaks saving many from death. The Ghost Ark pivoted using its right side Gauss Blasters that killed one Scout inside the ruin building. 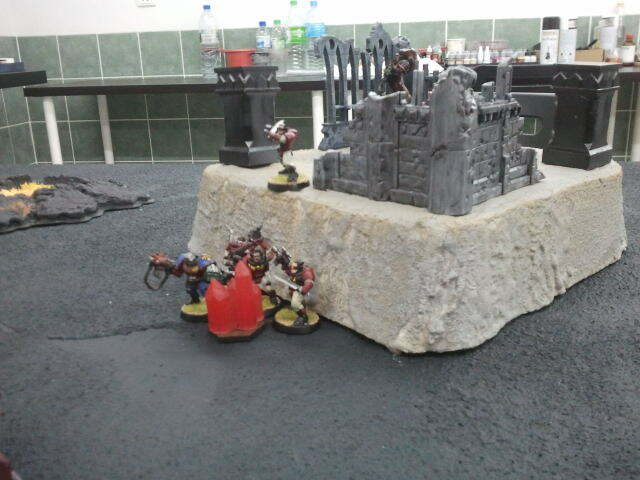 The Omega Angels Pendragon Bolter Scouts in the Bunker and Lancelot Snipers inside the Ruined hill stayed where they are taking aim, shooting at the Warriors with their Bolters, Sniper Rifle, Rocket Launcher and Heavy Bolter downing only four, two re-animated. While Squad Artemis inside the ruined building moved closer to take aim at the Canoptek moving as fast as it can towards their lines, trying to shot it down but due to their speed only managed to wound it. Captain Maximilan and his small unit of Tactical Squad hurried towards the building at the center of the map, gunning down the Canoptek and took one down, the Razorback move at combat speed and turned to face the Ghost Ark, aiming at it with its Lascannon and Twin-Linked Plasma, glancing with the Lascannon and penetrating it with Plasma Shots, destroying it outright off the table only to be replaced by a crater and one dead Necron Warrior. Bil-Ta-Seth commanded his Necron Warrior from the destroyed Ghost Ark to join his existing Warrior together with their Lord to tackle the annoyance on his flank, targeting the Scout Pendragon and shooting them with as many Rapid-Fire Gauss as possible. Cover and Stealth saved them but sadly two young Initiates died in the barrage of firepower, their Sergeant screamed out “Stand Firm For The Emperor! !” and passed Leadership. 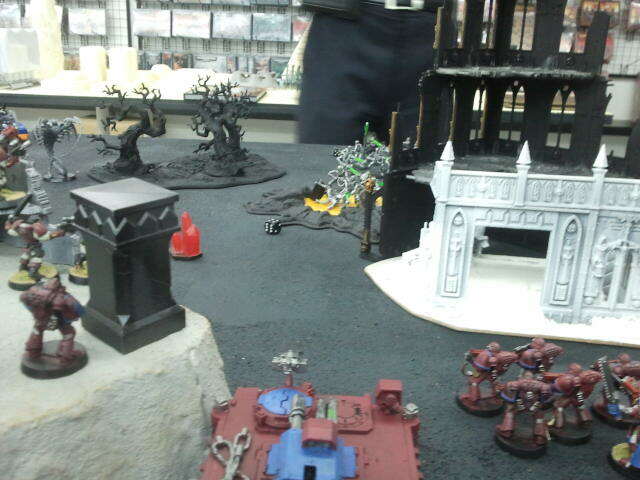 Bill then zoomed his Annihilator Barge into my Deployment Zone taking down another Space Marine and Plasma Cannon Marine, twin-link Tesla Destructor was used against them, the Sergeant together with two other Lascannon Marine survived the onslaught, cover once again protecting them from the Necrons deadly weapons. 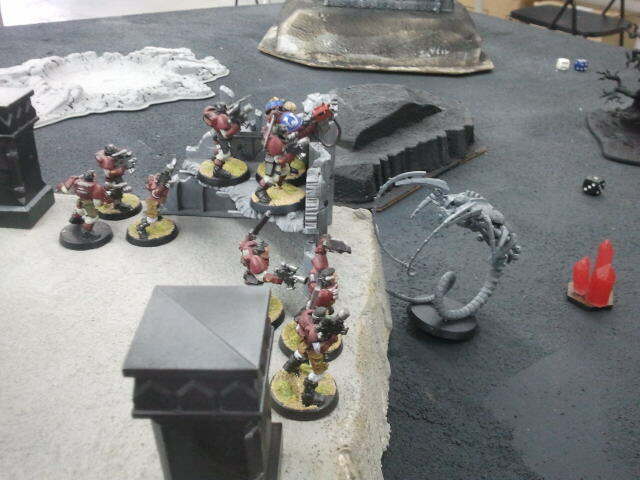 The Bolter Scouts of Squad Artemis were not so lucky, the Canoptek Wraith ROLLED A 10 and charged the Initiates, despite the Rapid Fire Overwatch, the Bolters could not strike at the fast moving Wraiths and the young eager Space Marines Initiative were drop to 1 due to the Necron’s Whip Coil and five brave Initiates perished in the assault, impaled and slashed to death, the Scouts fought back injuring none and the Wraiths even survived a Hit from two of the Sergeant’s Power Fist. They stood their ground and refused to budge at the sight of their Captain in the distance. Finally my Reserved arrive, the StormTalon jet it’s way and faced the Annihilator Barge rear blasting it with the combined effort from the Devastator Squad, the Assault Cannon and Lascannon’s inflicted so much glancing and penetrating hits the machine was left with nothing, hull points taken down from multiple shots leaving nothing but a wreck. 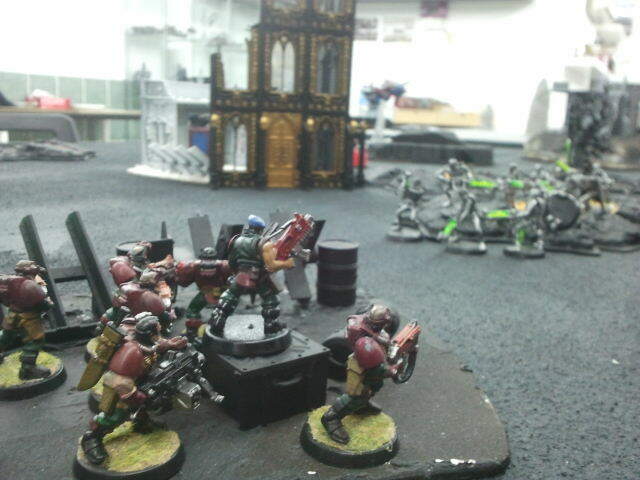 The Bolter Scout Pendragon and Sniper Scout Lancelot took aim to take down as many Warriors possible, Frag and Hellfire Rounds followed by Bolter Shells took down eight Warriors, re-animation protocol repaired only two Warrior. Captain Maximilan moved in to join the Initiates in melee combat, the Wraiths turned their attention to the charging Space Marines and impaled two, in a fit of rage and skillful sword-skill the Captain took down one Wraiths using his Chainsword. It was not looking so well for Bil-Ta-Seth Necron units, the Warlord took a chance to DeepStrike his Deathmark close to the Bolter Scouts inside the bunker near the table edge, the Deathmarks were teleported to far and were destroyed when Bill Rolled a 1 on the Mishap Table, destroying ten of them completely. 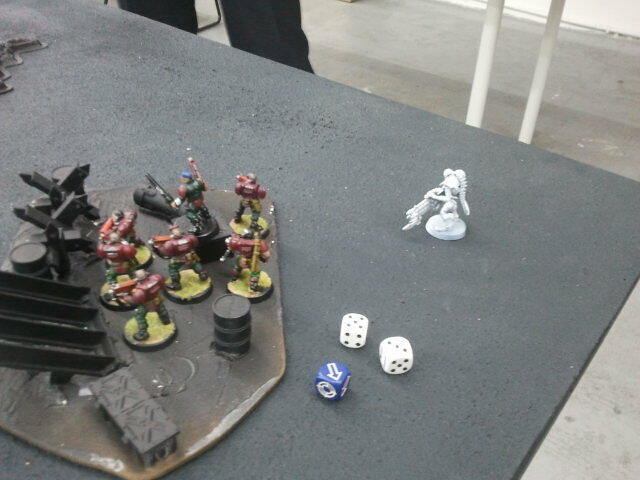 Seeing that he needed to kill off the Scouts for points, Bill moved his Necrons closer to maximize his Gauss firepower, rolling insane amount of dices to hit, missing many, and wounding only a few. 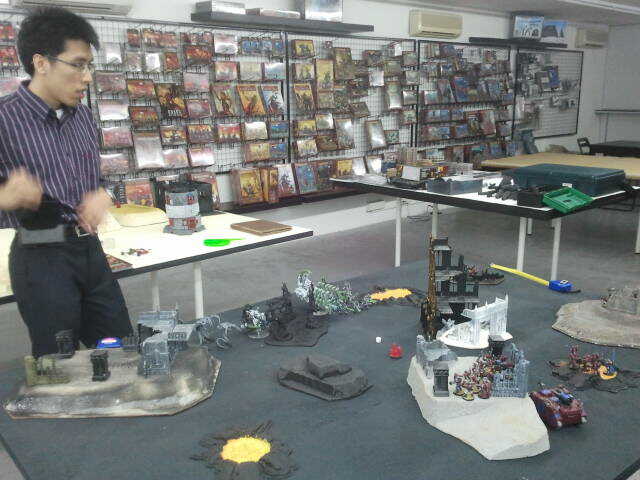 Again, The Emperor look upon the Initiates and all of them passed their Cover Saves roll. 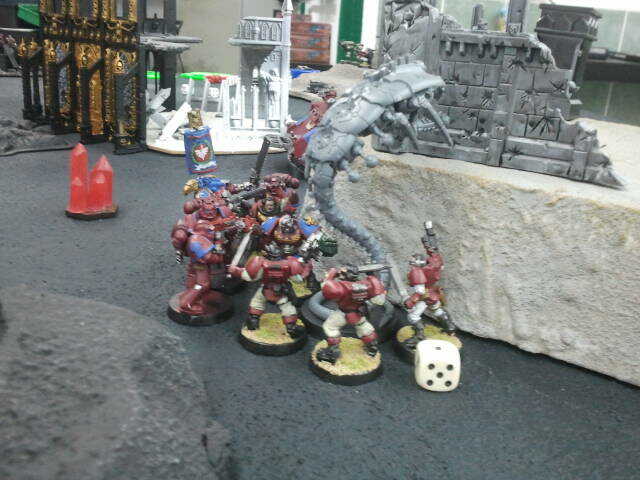 The Canoptek Wraiths focused its attention towards the lone scouts of four and their Sergeant, with all the attacks it made, the Scout Initiates Carapace Armor was able to withstand the creatures heavy hits, seeing the opportunity the Sergeant and his young Brothers swung their Blades and with two Power Fist hit, the Wraith was struck down. With the Relic so close to them, the Captain and the Scouts move ever closer towards the Crystal of Unikrux. Carrying the Crystal with them as fast they could, Scout Squad Artemis retreated back into their lines while the Captain moved closer towards the Necron Lord, to end his Dark Crusade in order for the Sector to be secured. Even with the combine firepower from the Scouts, only the Warriors were taken down but few more re-animated to safeguard their Lord from death. Even with heavy loses, the Warlord Bil-Ta-Seth refuse to back down and continue fighting, shooting at the lone scouts still hunkering inside the ruined bunker but to no avail, the cover they used proved to much for the Necrons. Remaining inside the crater, Bil-Ta-Seth knew that this battle is as good as lost, yet he refused to give ground and admit defeat at the Adeptus Astartes calling themselves the Omega Angels. Shooting at the Scouts of Squad Pendragon, the Warriors managed to hit them killing one Scout sticking his head out to watch for enemy movement, despite the loses Squad Pendragon charged out from cover and assaulted the Necron after noticing their Captain in the distance, shooting at the Necrons aided by the StormTalon’s Assault Cannon and Lascannons, the only reason the Lord survived was due to his Phase Shifter, giving him a +3 Invulnerable Save. The Necrons were routed and all that remained was the seriously injured Lord with only one wound left which in turn retreated off the table refusing to be destroyed by the accursed Omega Angels, cursing at the Space Marines for a defeat on this Sector and losing a valuable relic. Captain Maximilan know that Bil-Ta-Seth will return, with an even bigger army this time. Herbert Said: My Sniper Scouts did nothing much to the Warriors, but it was the Bolter Scouts that did most of the hurting. I was lucky due to the fact that Bill’s Deathmark scattered off the table, it would be a whole lot different if they did not. Those Necron’s can hit you once you’re mark and the only thing that can kill them is to assault them, provided you have the capability to do it. At first i thought Bill was bringing his Monolith and Nightscythe as my units were kitted out with melta-bombs and Flakk Missiles. 1000-points won’t bring much to the table but it was a fun short battle, despite the setbacks. Bill Said: I honestly didn’t expect my opponent to have a StormTalon in his list for this 1000 points game. 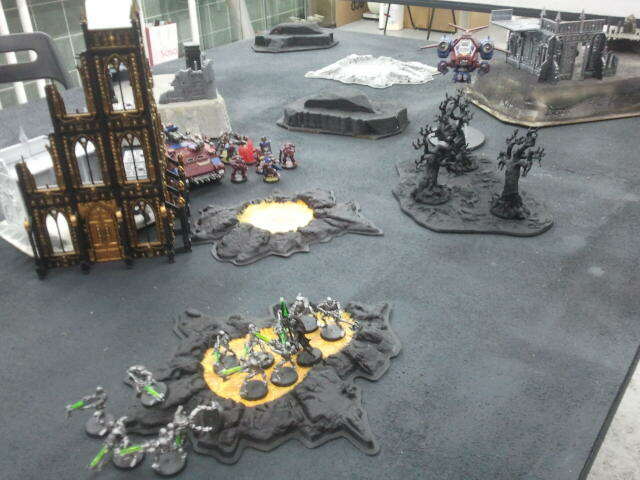 That unit alone placed me at a disadvantage due to the fact my army lacks skyfire capability. In addition, the scout deployment was rather unpredictable and he did a splendid job placing his scouts at the right place at the right time giving him an upperhand on flanking my marching army. I finally understand why he loves to play scout and deploys them as much as he can. Me underestimating the scouts literally spelled my downfall. But overall it was a very good game and I learned a lot of things despite me lost the game with near total wipeout. This blog has not been really updated for many weeks, although there are some drafts pending to be published. Just like this birthday outing luncheon for Her Majesty which took place a month ago. This is the first birthday celebration for Her Majesty after we got married, but we just had a simple luncheon at Oriental Pavillion as we would be traveling to Vietnam a week later as her birthday trip. Lunch was busy at Oriental Pavillion, mostly are business people. However, the service is still very prompt. We can see that majority are getting dim sum or lunch set menus. However, we choose to go for a la carte instead. 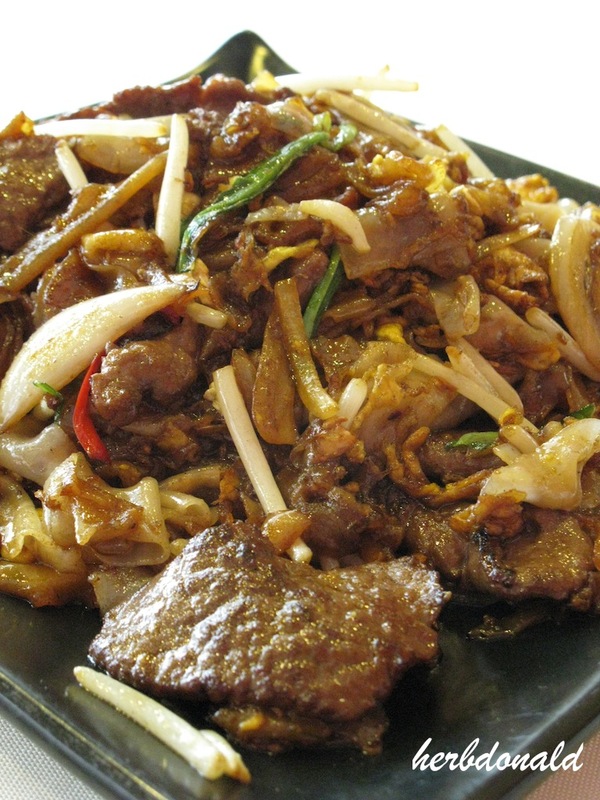 First served on the table is the fried hor fun with venison, it is a little bit oily but the venison make the whole dish taste extra delicious. Not to mention the portion is more than enough for two to share. For the finale, I am actually quite disappointed with what i ordered – chilled mango puree with pamelo, which is my all time favorite. Look at this… ergh! 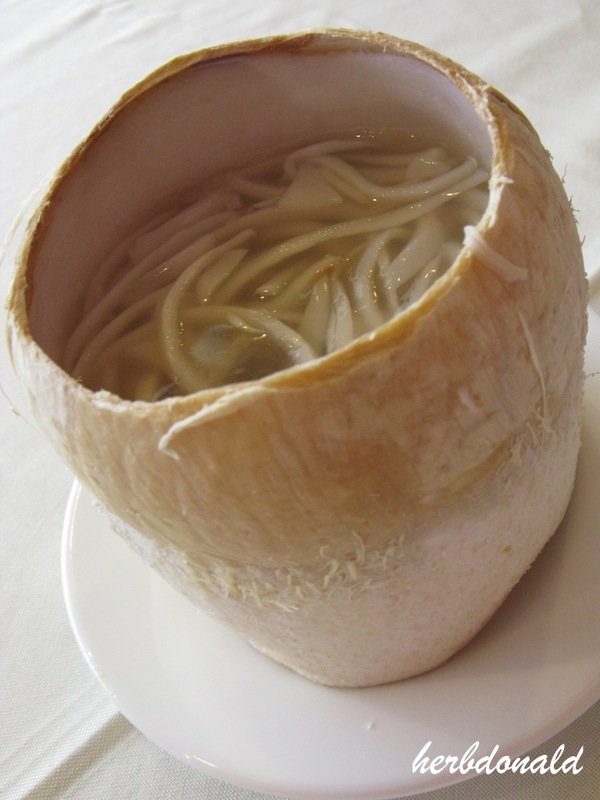 But the chilled jelly served in coconut shell is really refreshing. You know, your mummy is so depressed since that day onwards. 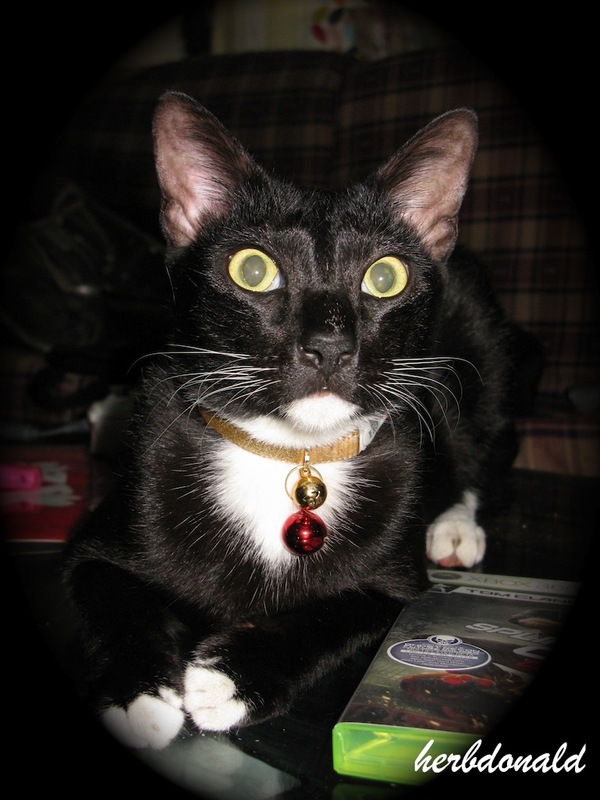 We walked all around the neighbourhood to look for you, calling Oreo, Oreo. 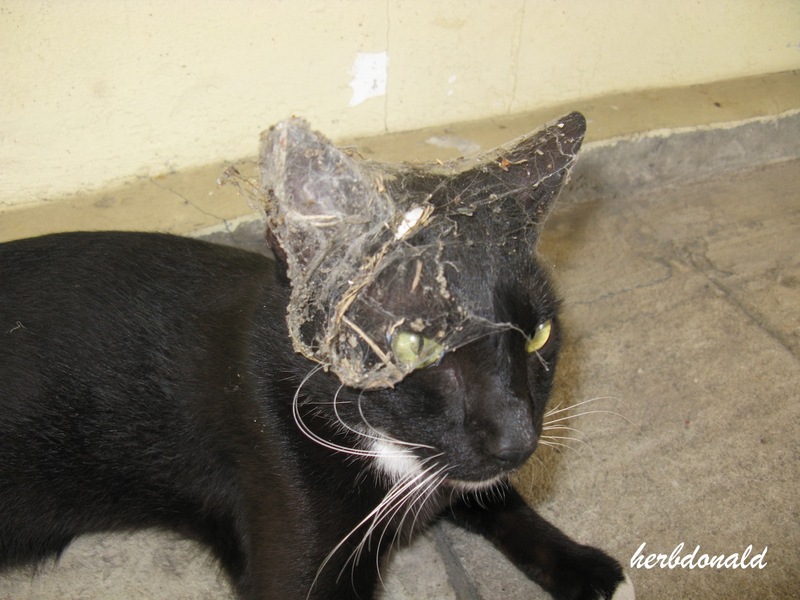 Your mummy couldn’t even sleep on that night, hoping you’re just too enjoying yourself outside with other cats, and will be home the next day morning. She cried… she cried for many times already. 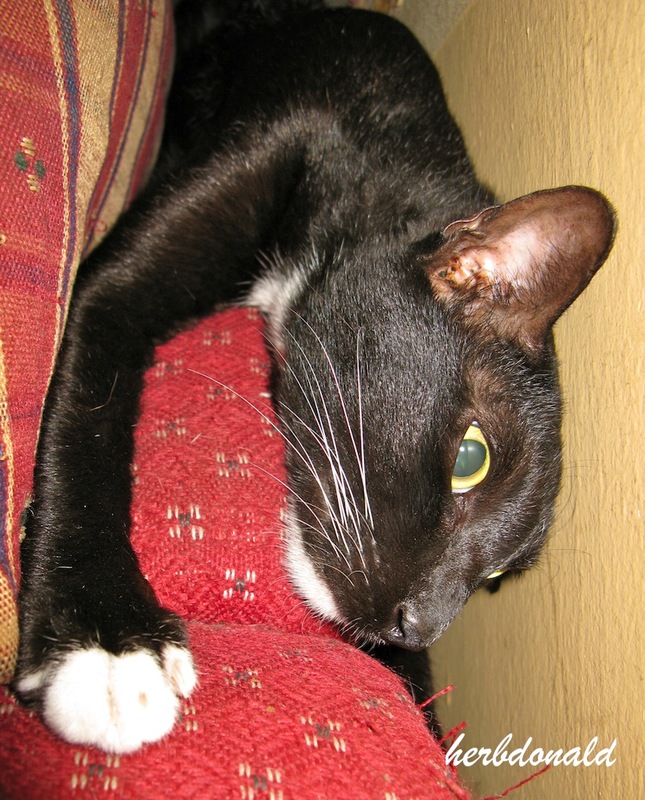 Your mummy always says, you’re the most handsome and smartest cat she ever had. 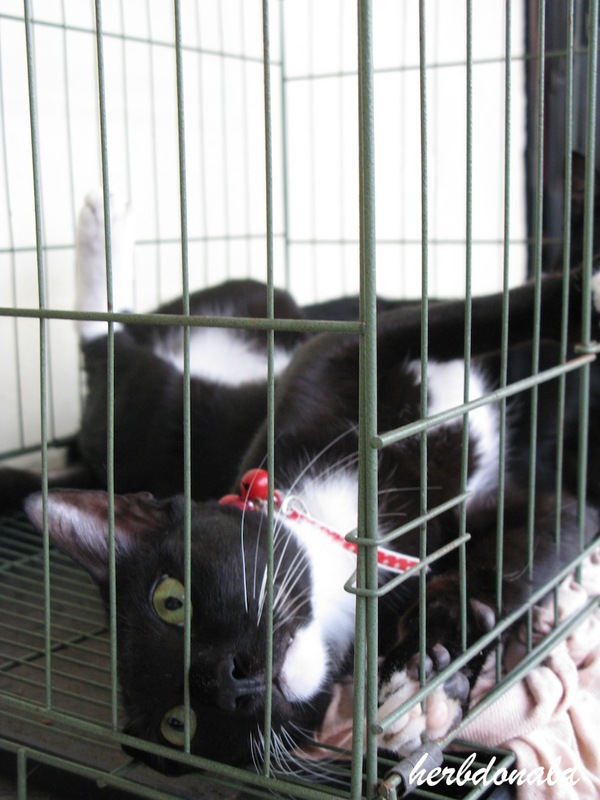 You’re not an ordinary cat, although you’re just a stray cat we found in the wet market. We miss you acting cute when you want something from us, we miss you fighting with fur fur to get our attention, we miss you hugging Chelsea and licking her, we miss seeing how much you enjoy your crackers every time when we refill the bowl, we miss you destroying the kitchen towel and packed biscuits on the kitchen cabinet, we miss you sleeping next to us at night, we miss you occupy the bed for yourself only, we miss you accompanying your mummy taking shower, we miss you calling us when you come home, we miss bringing you for car ride, we miss you waking us up if we are late, we miss you… we really miss you. Yes, you’re naughty, you’re hyper but we just simply love it! We are still hoping that there will be a miracle and hear your voice again after you have enough fun out there. Fur Fur and Chelsea are looking for you too, you know that? I am sure you don’t want to see your mummy depressed too. Waiting for you to be home, XOXO. 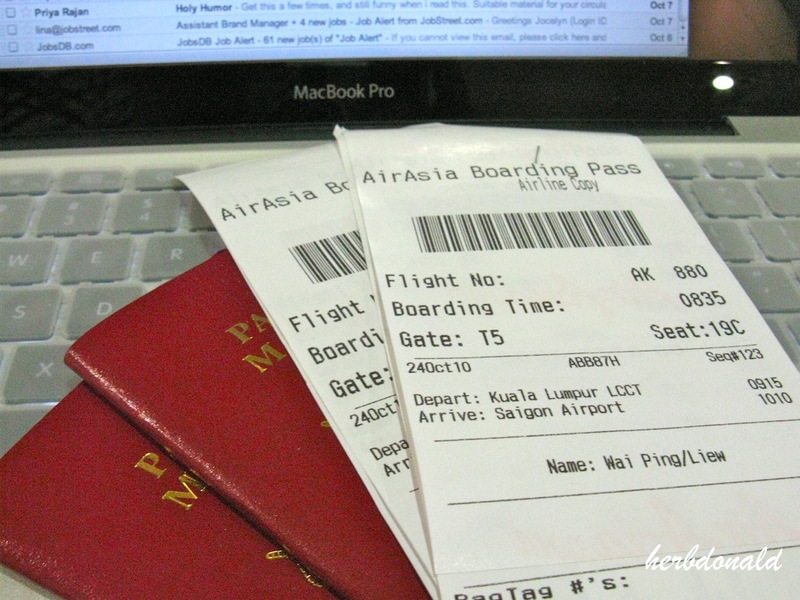 Two travel bugs are flying off in another half an hour time, to beautiful Saigon. Will update this blog whenever we have time. Stay tuned! The fisrt time when I was brought to Happy Mansion, I was told that this particular coffee shop is well known for its chicken rice. I know it sounds very unbelievable, but this is what we were told – phone reservation is required to avoid dissapointment. You also get special priviledge if you address the boss as bro. However, we were not so impressed by the service during our first visit there few days ago. The coffee shop was still very empty as we were there. We were lining up together with another few customer until an Indon worker came and told us to get a table and sit down first. Not long later, two men came and sat at the table next to us. And the best is, the boss took their order first. The food presentation ‘wow’ us for once when it was first served. But we can never judge the book by its cover. The roasted pork was tough and salty while their so called signature roasted chicken has nothing to shout about too. 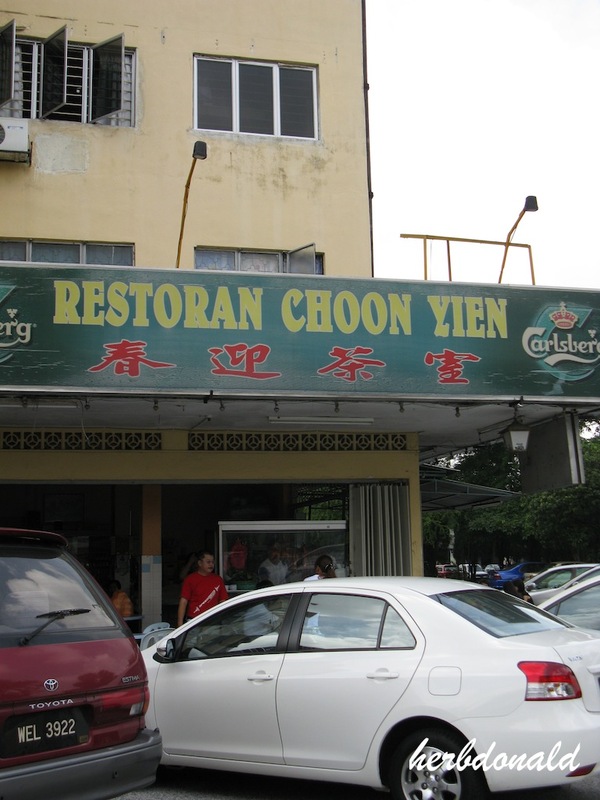 Especially if you have visited this very rundown chicken rice stalls behind Istana Hotel. 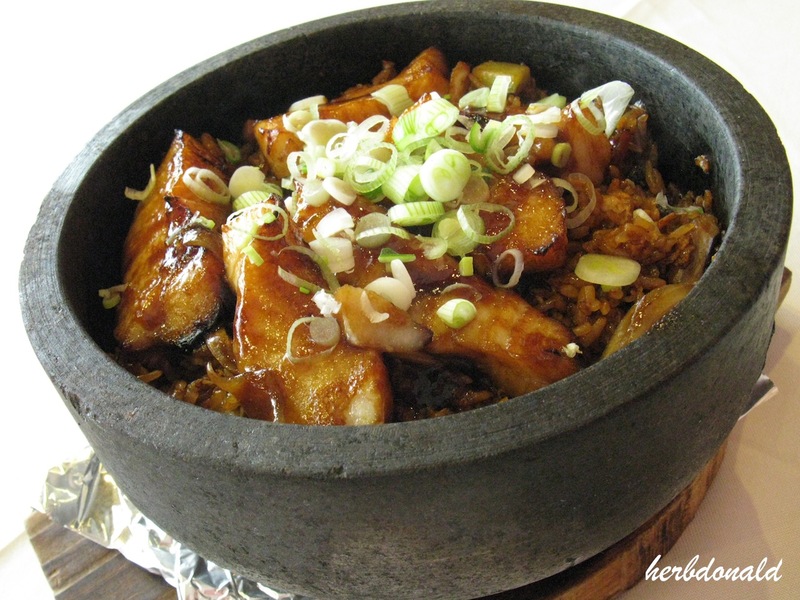 The portion is actually very small for two persons, don’t get fool by the bean sprouts (taugeh) hidden at the bottom. Our total bill was RM19. Not worth the money we paid at all, somemore the boss got ‘one kind of look’ when we asked for bill. This place has been over rated by some of the local food bloggers or perhaps they should try out more roasted chicken and roasted pork first before claim that this is the best in town. Little did we know, where and when first dance started. We tried to google search for the history before started to write this piece of article but unfortunately, nothing was found. Anyhow, it is still part of the ‘highlight’ in many wedding receptions. 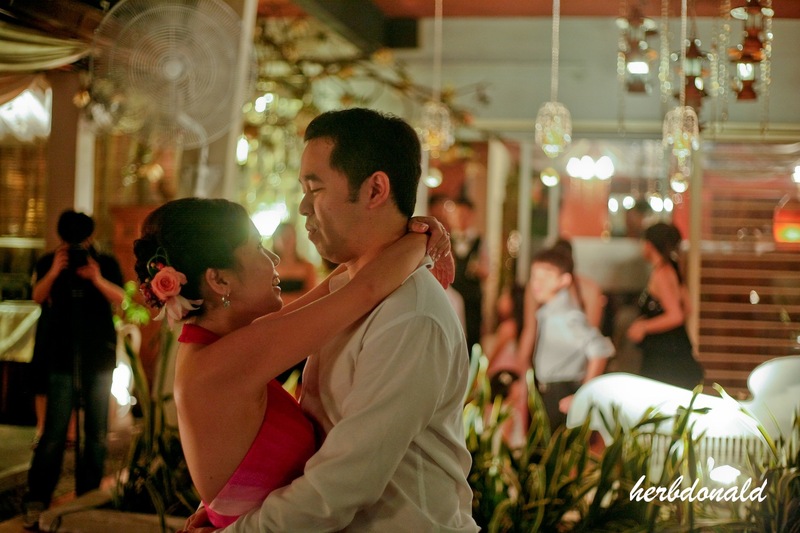 Normally, the wedding couple will choose their favourite love song to dance to. I don’t know why, it’s always a slow song. 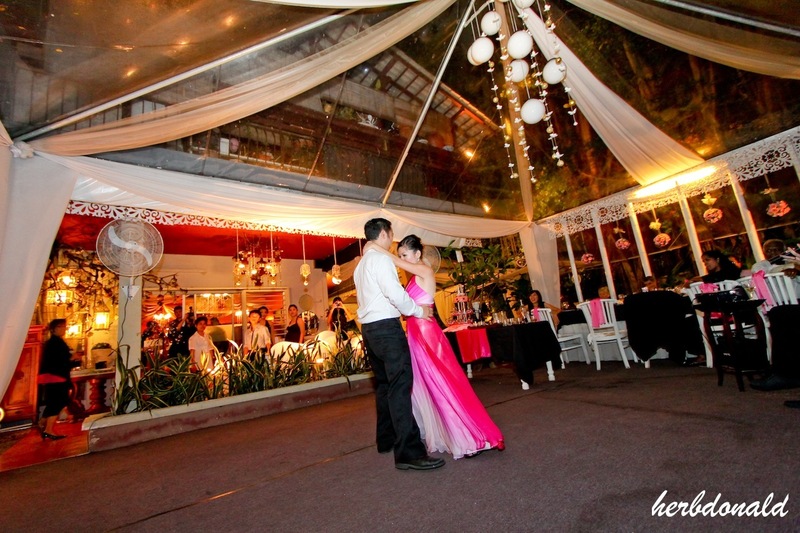 Some say it is because ballroom dance is the easiest, you don’t need to be a good dancer; some say the bride is wearing high heels, long gown with trail and etc… so a slow dance is the best choice. So when Her Majesty showed me this video clip from YouTube which has more than 1,000,000 viewers, I immediately told her that I wanted to do something similar during our wedding dinner too. And that was like even before we confirm the wedding date. I was very active in Kelab Seni Kebudayaan during my secondary school time, so it was not hard at all for me to be a choreographer for own wedding. The only problem is, Her Majesty can’t really dance. So in terms of song selection, I have to make sure it’s not too hard for her to learn, not to mention we have limited space in our house to practice. In the spirit of muhibbah, we selected different language’s songs, those that we like and those that we grow up with, then let Her Majesty to edit it. Luckily she learnt some basic music editing before. Even though we had spent few months to practice but still, I was nervous at that night itself, to the extent of didn’t even feel like enjoying the food served. I was so worry that what if… … all the worries didn’t happen, of course. I couldn’t describe how release and happy we were especially when we received compliments from the crowd, including my mum who even asked did we hire any choreographer. 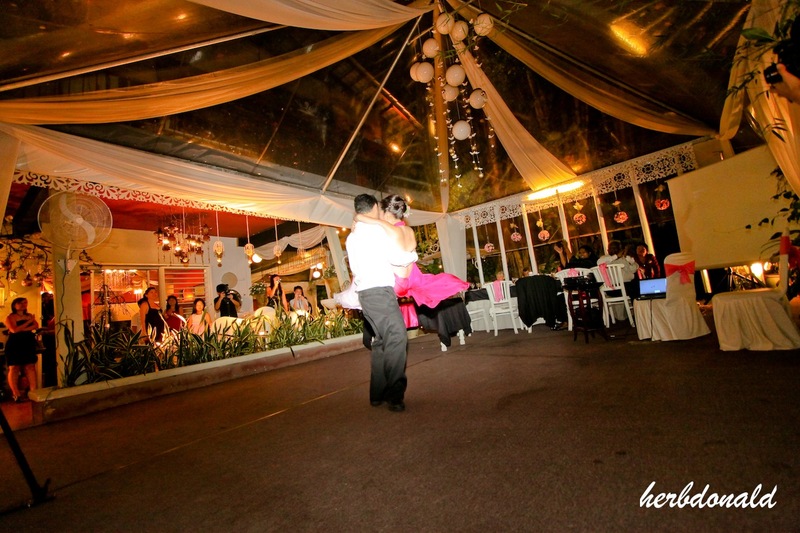 Of course, it is not surprise at all to have a few guests who cannot accept this kind of first dance. Not to worry over any mistakes, enjoy it! 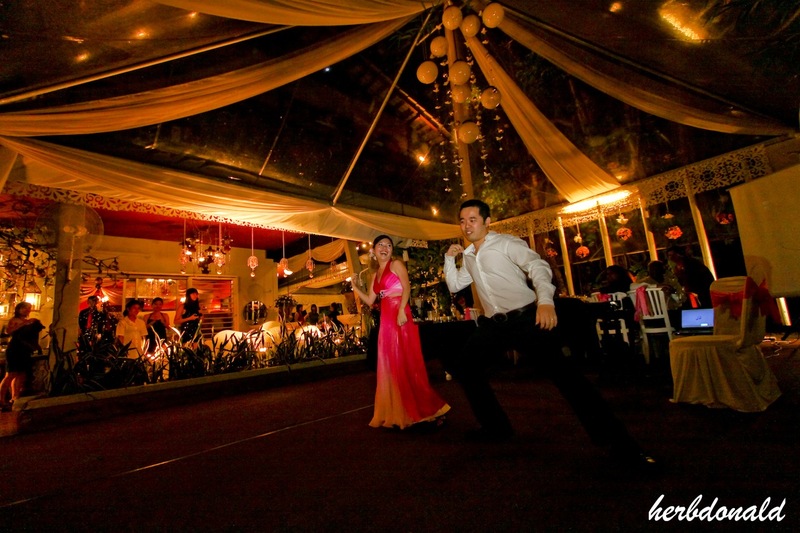 Now i see that more newly weds in Asia are slowly going into this trend, and honestly i am getting bored of typical slow wedding dances, i told my youngest brother to do the same as mine. I am always very proud that I have a lovely wife who can cook well. Isn’t this one of the reasons why I fall in love with her? But, those who knows her family background will always get shocked, how can this only child in the family cook? 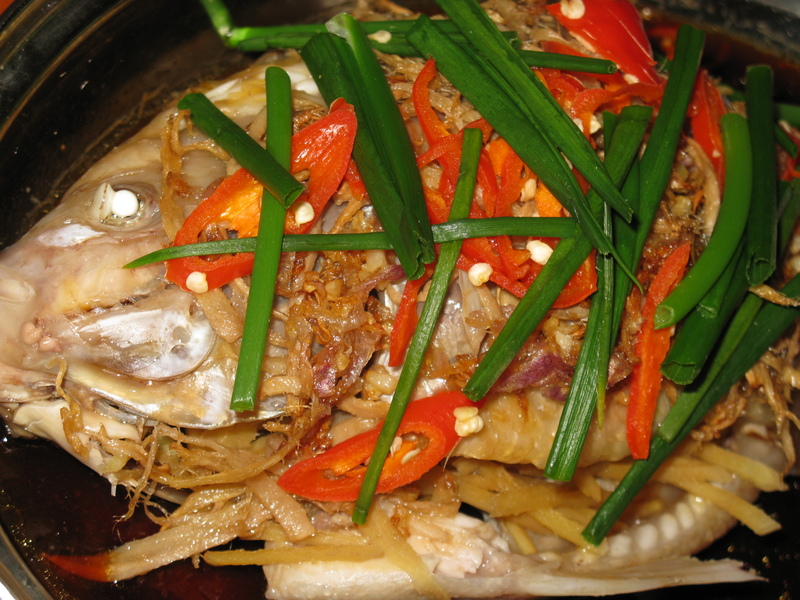 Well, my mother in law is a good cook, same goes to my wife’s late grandmother who hailed from Indonesia. Or else, they will stare at me and say “your wife can cook ah?” because to many people, youngster now a day won’t know how to cook or never even step into the kitchen. Well, after years of knowing her, I just knew that actually she started to cook during her college time. According to our good friend, Jo who was her roommate in the hostel, Her Majesty was using a rice cooker to cook many dishes other than rice. 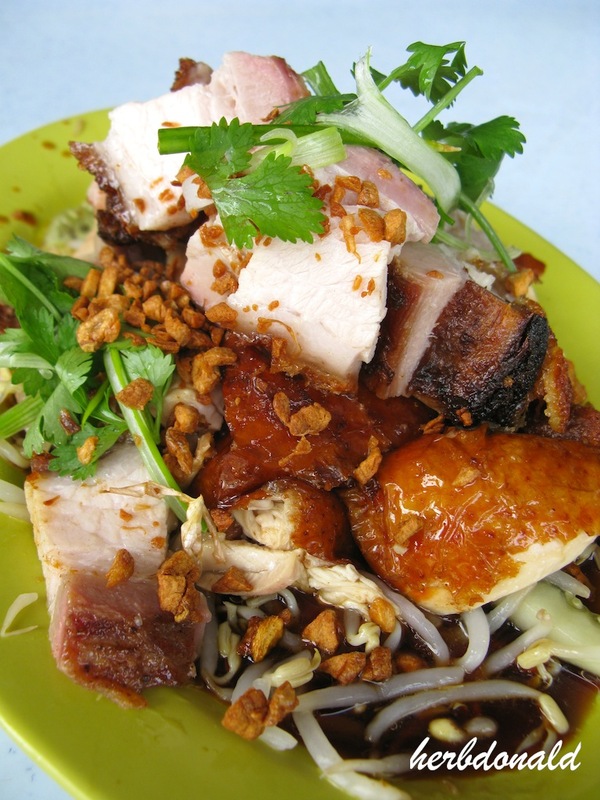 Braised, fried, steam, boiled… who says it is impossible. Until today, cooking has been part of her life. She will always wake up at 6am+ to prepare the stuff and cook. In another word, we hardly eat out because she doesn’t like those food that contain ajinomoto (we never buy any ajinomoto at all) and of course, to save money because most of the food outside can be cooked by her, and i am running out of options, unless it is mamak or malay food. Apart from eating at home, she will also prepare lunch bento for me. So some of my colleagues are always curious want to see what is in my lunch box and even want to try it out. And because of I have a lovely wife who can cook good food, now I am having problem when we eat out because I will not want to order any dish that she can make, so sometimes we will be just sitting there and don’t know what to order whenever she ask me what do i want. From now onwards, I will start sharing the photos of good home cooking here with all my readers (be ready to get hungry!). However, Her Majesty is reluctant to share her secret recipe with anyone although some of the recipes are taken from somewhere else and modified to suit our tastebud. Reason being is, we have other plan in mind. 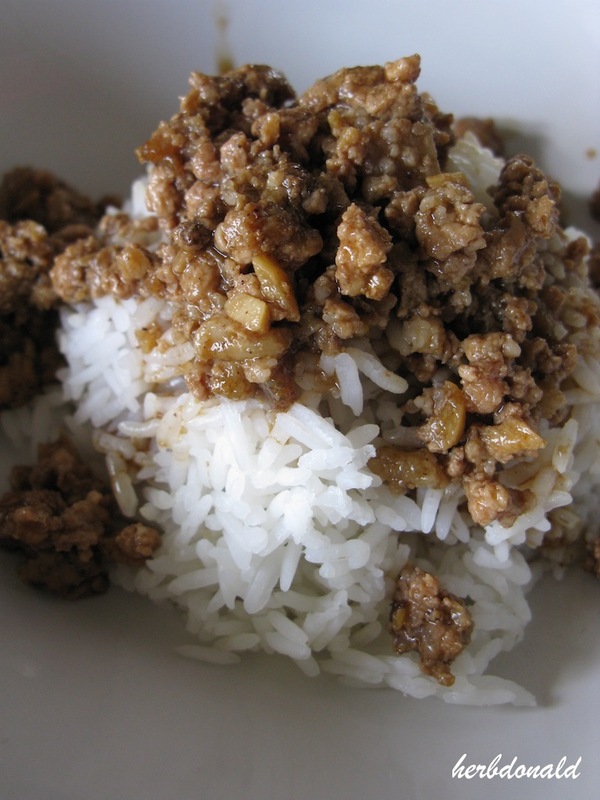 This is a Foo Chow specialty that Her Majesty is in love with since she was a little girl. I still remember how I react when I first tried this but now, I am also in love with it too especially if is infused with rice wine. 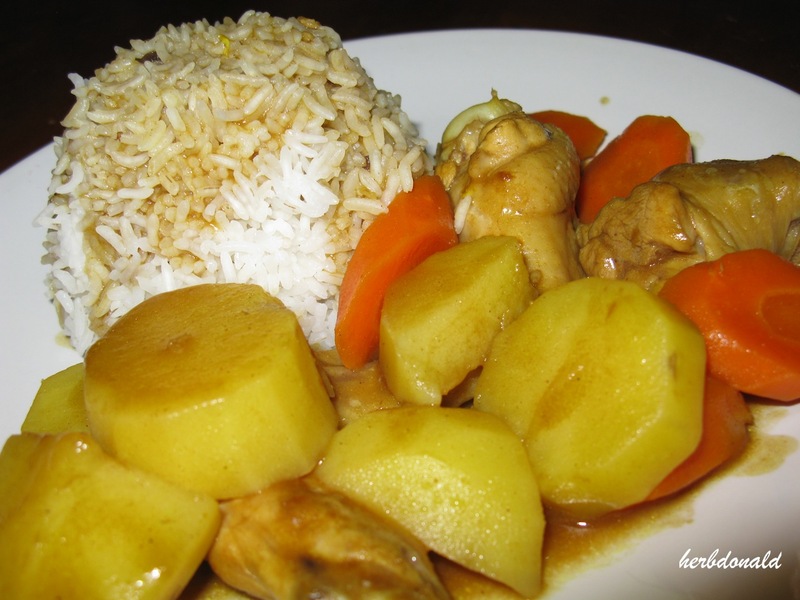 Japanese curry is probably the most healthiest curry I ever know because no cooking oil is used at all in making this dish. 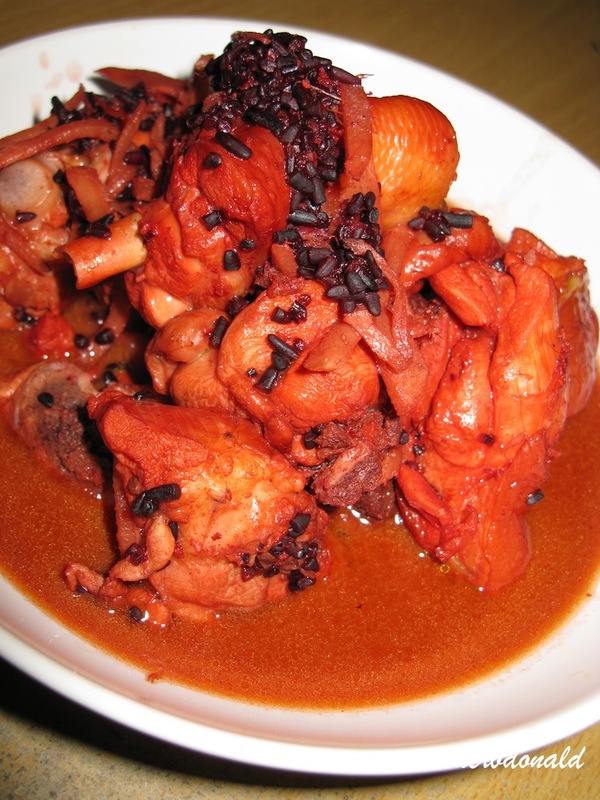 Thanks to our Korean friend HyunJu, Her Majesty can make good Jap curry now. 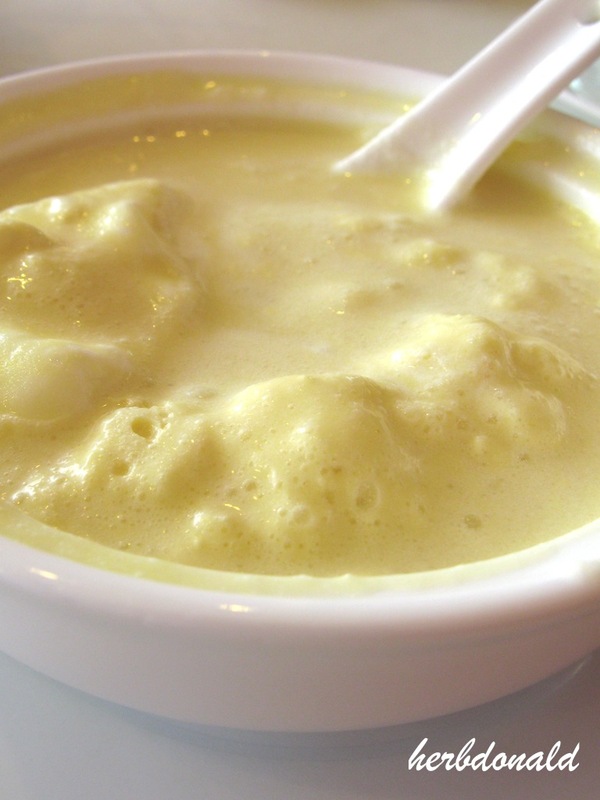 If you have read my travelogue, you should have remember that how much both of us fall in love with this dish in Taiwan. Well, when your favourite food isn’t available in your country the only solution is to google for the recipe and cook it yourself. Something simple when the cook is in the lazy mode. 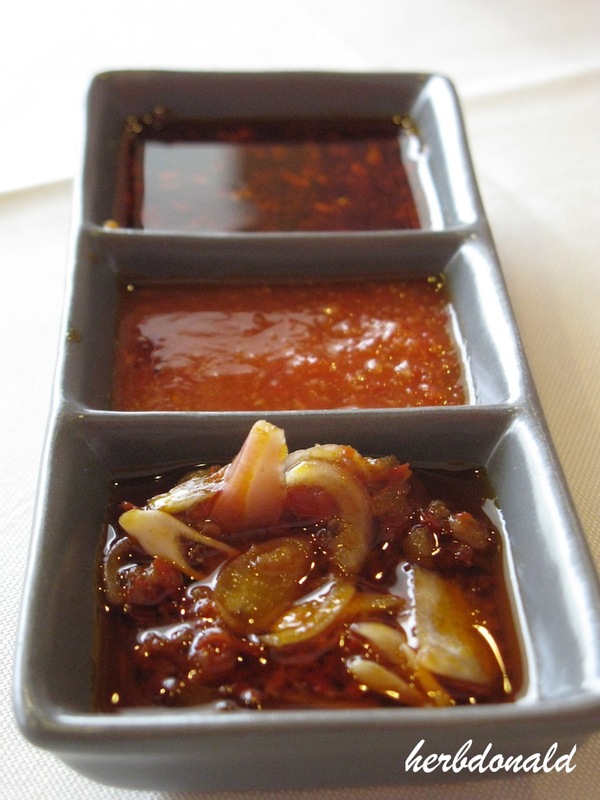 Growing up in a traditional Chinese family, cooking sambal is definitely something that Her Majesty never came across in her family. She picked up this dish all because of me who loves to have sambal. My aunt taught her once. Few years later, her celebrity chef friend shared his secret recipe with her that she is refering to now. 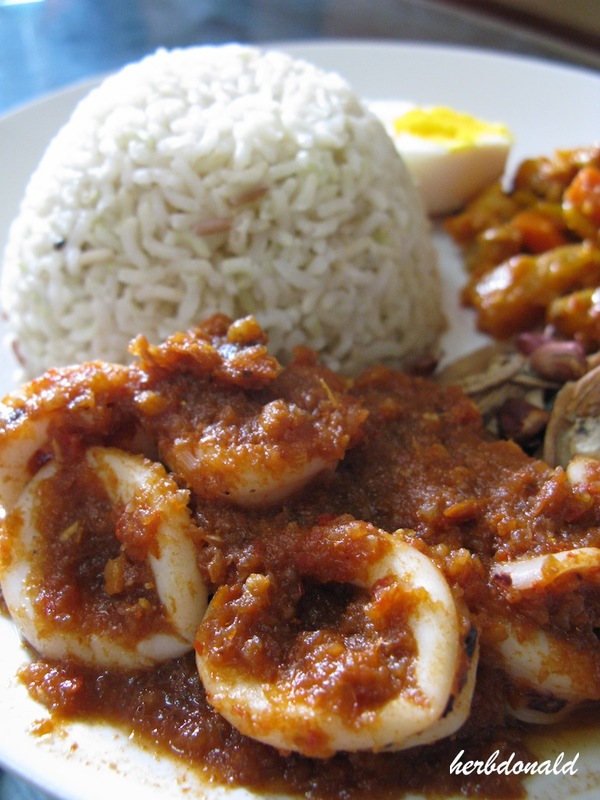 Once you know how to make the basic sambal, it won’t be hard at all to modify it become another dish like sambal sotong. 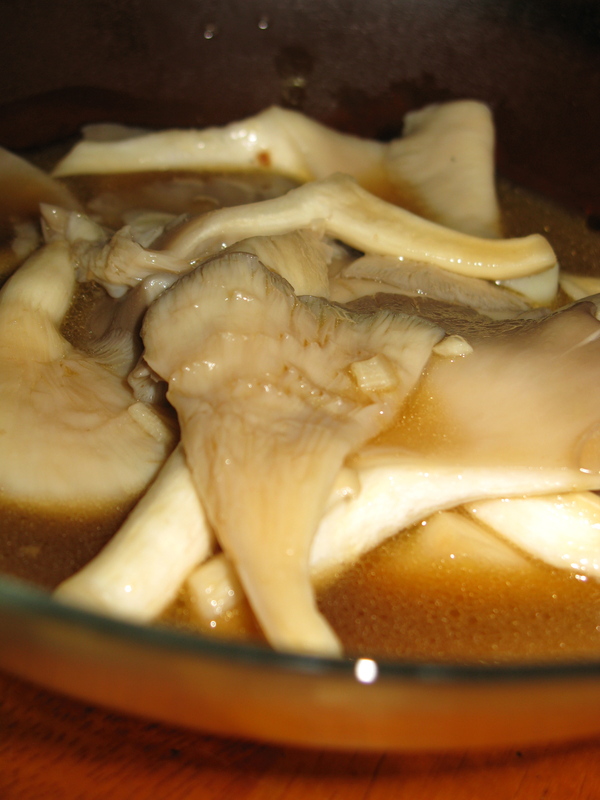 I don’t really fancy mushrooms so she only cook this favourite dish of hers once a while. Ok, time to get ready and attend a Malay kenduri. TBC with more food photos, stay tuned.